Google has updated the "Keyword spam" section of its Android developer guidelines to forbid app developers from including "user testimonials" in their app descriptions. The search company says developers use these "dubious" testimonials to game the search system with keywords and competing app names, and that customers' feedback should be relegated to official user reviews. "Please do not include user testimonials in your app description," the updated guidelines read. "They tend to be dubious and are frequently utilized to include references to popular search terms and competitor apps in violation of the policies outlined here. Let your users speak for themselves via Play's comment review system." 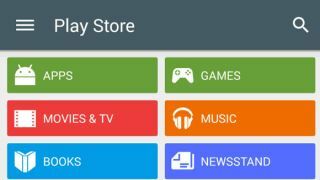 The Google Play Store has long been notorious for having less regulation than Apple's iOS App Store, although to be sure plenty of crap slips through the cracks in both systems. In any case it's nice to see Google making positive changes to its policies.